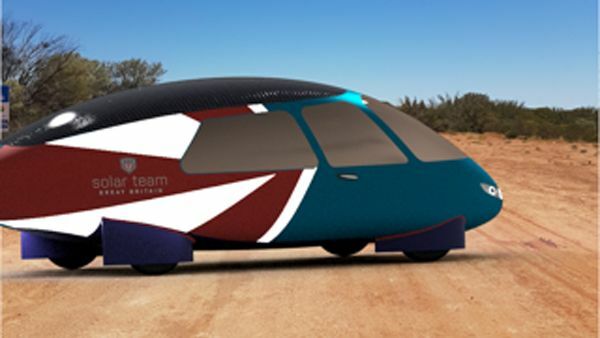 Crowdfund Corner: contribute towards a new solar-powered car! Crowdfund Corner is T3.com's not-very-regular roundup of the best crowdfunded products around at the moment - we only post when there's a crowdfunded project that's really worth getting excited about. Usually - but not always - these will be available via Kickstarter or Indiegogo. Solar Team Great Britain has launched a Kickstarter campaign, to help develop a car capable of winning the Bridgestone World Solar Challenge race in October. The team is backed by over a dozen sponsors and the teams patrons include Red Dwarf’s Robert Llewellyn. The Kickstarter campaign seeks to raise between £20-26k, around 5% of the total target. The solar race team is set to compete in the biennial 3,022 km World Solar Challenge race across Australia later this year. It is seeking to win the Cruiser (4-seater) class, created specifically to help bring the technology into production road vehicles. STGB’s first official designs of the shell of the car have also been revealed - known as the STGB_C5. The design has undergone refinement and analysis using the extreme power of a Cray supercomputer cluster so it can maximise efficiency as well as large surface area to generate power. Aerodynamic modelling is being led by STGB’s technical director Paul Kealy, also an Airbus aerospace engineer. The access to the Cray supercomputer cluster - owned by sponsor CFMS - has cut aerodynamic modeling from over 2 months to less than 2 days of processing time.